The London Borough of Hammersmith & Fulham has played down suggestions that it has scrapped plans to hand over its resident newspaper to a third-party publisher. 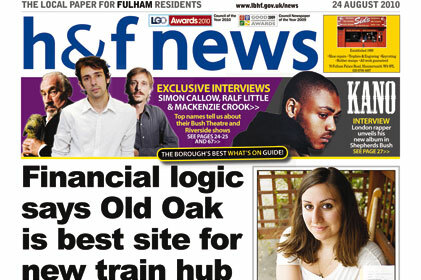 Hammersmith & Fulham recently revealed plans to get around the new limitations on council publications by transferring the fortnightly publication of H&F News to an independent news provider. But now the council has withdrawn the tender for the publishing contract, stating that it 'seeks to clarify its intentions around contractual aims' and is holding a 'meet the buyer' event on 17 November. The event will set out the authority's intention to enter into a seven-year contract with a company for advertising services, with the provision to extend for up to three further years. The Newspaper Society last week claimed that H&F News would close next year after the council unexpectedly withdrew the tender for a commercial partner. The council's assistant director for comms and policy Simon Jones responded that the council was 'always going to stop publishing H&F News under any arrangement - but we realised that by talking about partnerships there seemed to be an implication that somehow we wanted to carry on publishing a newspaper, which was never the case'.